Musical renaissance man of the Latin world, Alex Cuba, has played an assortment of rock, folk, and soul throughout his star-studded career. His past singles such as “Sarah” and Lágrimas del Que Llora feat. Josemi Carmona” have shimmered in the skies of music, and he’s returned bearing yet another beautiful piece, “Piedad de Mi” the second single off his 2017 release Lo Único Constante (The One Constant). The song already has over 130k streams on Spotify. Cuba-born and now based in Smithers, BC, Cuba has recorded six albums and possesses an impressive list of accolades including two Juno awards, four Latin Grammy Awards, and two Grammy nominations. Please let us know what we can do to get it into your upcoming programming. If you need more info on Alex Cuba, please don’t hesitate to be in touch with us at (732)-613-1779 or email us at info@HIPVideoPromo.com. 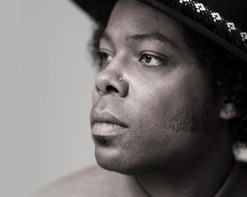 You can also visit www.AlexCuba.com for more info on Alex Cuba.